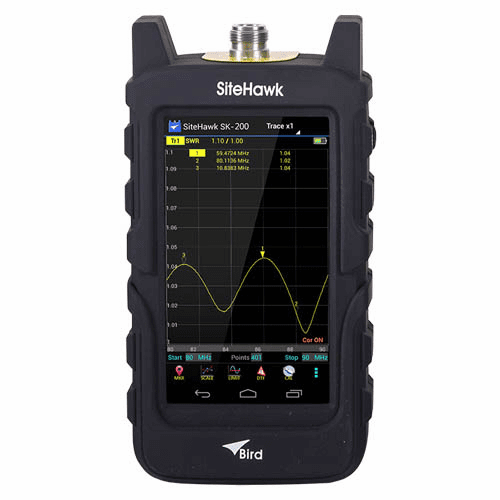 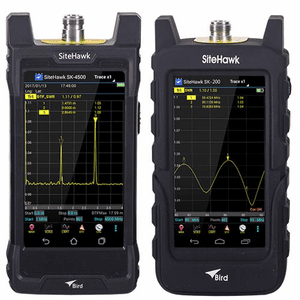 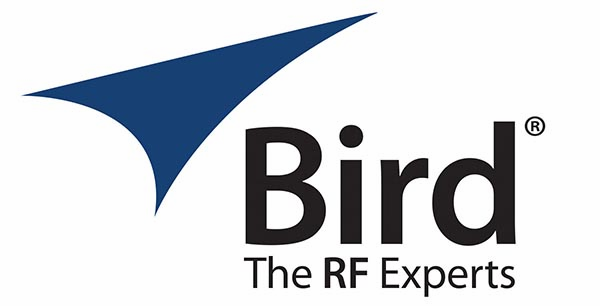 Bird SK-TC Series, SiteHawk Antenna and Cable Analyzers operate from 300 kHz to 200 MHz (SK-200-TC), 1 MHz to 4.5 GHz (SK-4500-TC) and 1 MHz to 6 GHz (SK-6000-TC). 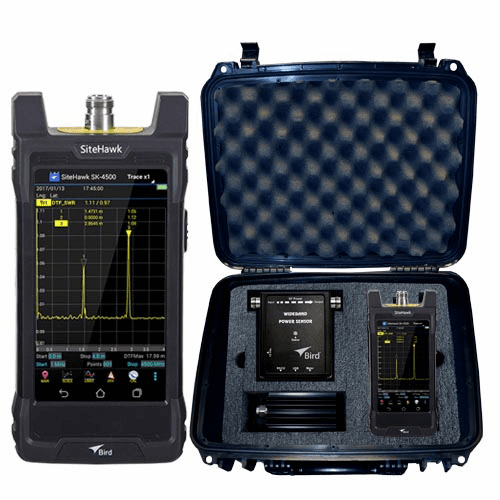 All models feature an intuitive interface readily accessible to the first time user and minimizes clicks for an expert using it every day. 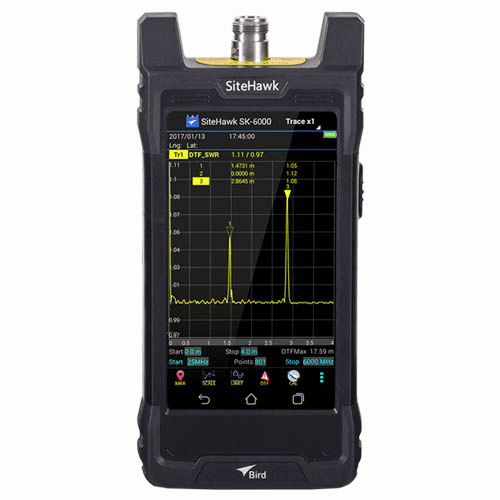 Substantial internal storage eliminates the need to worry about file storage, holding thousands of traces on the device for future analysis or reporting.